I have been constantly surprised at the huge crowds that visit the small Dakshinamurti Temple located near Ramana Ashram on the Chengam Road. This crowd increases to huge proportions in particular on Thursdays, which is the day dedicated to the Guru, represented by Lord Dakshinamurti. The reason for my surprise is that this God represents a very esoteric aspect of the Divine and one that I did not think would be significant to the local population at large. Dakshinamurti is the visual representation of the Supreme Guru. 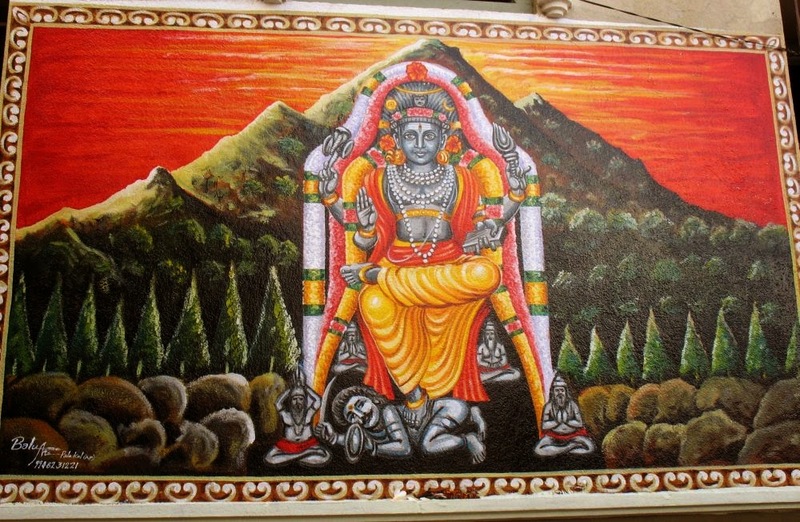 Under the Kallaal (spreading Fiscus tree) in Kailas, Dakshinamurti is seated in the pose of perfect peace and bliss. His form is of a youth of sixteen years and at his feet, sit the four rishis: Sanaka, Sanandana, Sanatana, and Sanatkumara. The Lord does not utter a word but his very pose gives the Rishis instruction and they depart, enlightened with all their doubts dispelled. The significance of this God is explained in the below extract of a talk between Ramana Maharshi and a devotee. 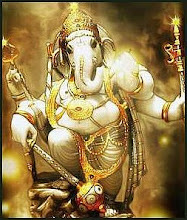 Maharshi: . . . which is the real power? Is it to increase prosperity or bring about peace? That which results in peace is the highest perfection. Devotee: But people in Europe and America would not appreciate such an attitude and would desire a display of powers and instructions by lectures, etc. Maharshi: Lectures may entertain individuals for a few hours without improving them. Silence on the other hand is permanent and benefits the whole of humanity. Devotee: But silence is not understood. Maharshi: It does not matter. By silence, eloquence is meant. Oral lectures are not so eloquent as silence. Silence is unceasing eloquence. The Primal Master, Dakshinamurti, is the ideal. He taught his Rishi discipes by silence. Devotee: But then there were disciples for Him. It was all right. Now it is different. They must be sought after and helped. Maharshi: That is a sign of ignorance. The power which created you has created the world. If it can take care of you, it can similarly take care of the world also. Only yesterday I was informed by a local resident of the reason for the huge increase of interest in this particular Temple dedicated to Lord Dakshinamurti. Apparently a man living adjacent to the Temple and a big devotee of this God, won a large amount in the Lottery, word of his good fortune which he attributes to the grace of Dakshinamurti, has travelled word of mouth through the town, until now the crowds visiting this Temple on Thursday can extend up to a 100 yards in length.